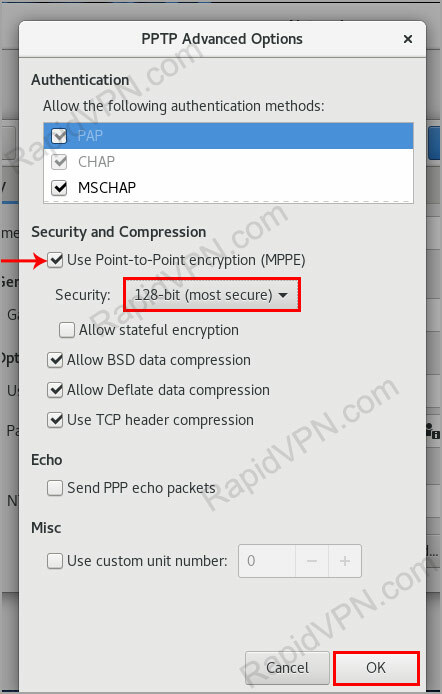 How to setup PPTP VPN connection on Linux Fedora? 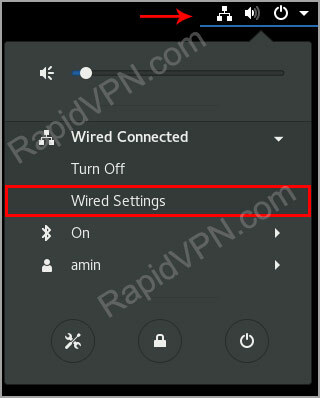 2Go to the "Network Settings" from system tray or from Settings. 3In next window click on the "+" sign. 4Click on the "Point-to-Point Tunneling Protocol (PPTP)". 5Enter in your server IP for your gateway and your VPN username & password. Also you need to click on the person icon (see the red arrow) and select "Store the password only for this user". At the end click on "Advanced..." button. 6In advanced settings, make sure the settings are the same as what is shown in the picture that is provided. Hit "OK" when done. 7Click on "Add" to save make your VPN. 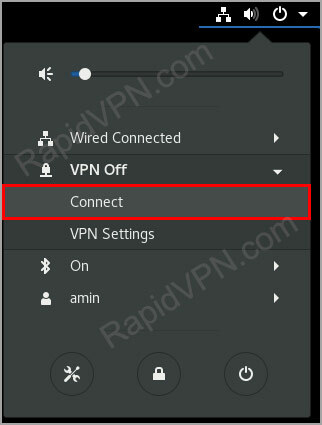 8To connect/disconnect VPN, just click on your VPN connection you just made from system tray (step 1).